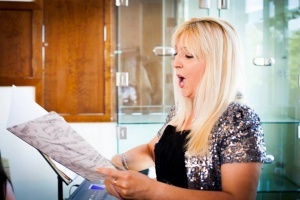 Maureen-Victoria Ward, Soprano, has a Masters in Music Performance (RIAM and DCU) and also possesses a Bachelor in Music Education Degree from Trinity College Dublin. As well as being a working qualified teacher in Singing, Musical Theatre and Speech and Drama, she is also a very successful Top Agent, Examiner and an Adjudicator. Maureen has been a soloist in many operas (including Wexford Opera Festival) and many musicals throughout Ireland, England, Brussels, Italy and U.S.A. She has also performed in numerous recitals worldwide. From a young age, she toured as a solo singer, actress and dancer with the musical “Peace Child” around Ireland, and then in the U.S.A as the European representative. She was the only Irish representative who made it to the final 5 in the search for the Westend Musical Theatre show “A Song for Bernadette”. Maureen has been a very successful Bursary Winner and Overall Prize-winner at many competitions and festivals throughout the country and abroad for all styles of Singing and Drama, and has received a lot of news, television and radio coverage. Maureen has a very keen interest in educating students of all ages and abilities through the Arts, and has been teaching for over twenty years. Her students are national and international Multi Award-winning Performers in Acting, Singing, Musical Theatre and Modelling Competitions. Maureen’s successful students currently have, and have had, glowing careers in their own right. Many of them are familiar faces having been cast in Leading Roles in Award Winning Feature Films, TV programmes, Professional Theatre and Musical Productions. Her students have won prestigious awards including the recent national competition “The Soloist 2017”, the “GOSS.IE Award for Best Actor 2017”, as well as other prestigious awards throughout the years including “Junior Achiever of the Year” at the Maternity and Infant Awards, Best Actor nominees at the IFTA’s, nominees at the Monte Carlo TV & Film Festival, Eurovision representatives, whilst others have been winners of AIMS Awards for Best Lead Vocalists + Actors, recipients of the Higher Achiever Awards from the RIAM and top Bursary winners at many Drama and Singing festivals. Many of Maureen’s Drama & Singing Students have gone on to win FULL SCHOLARSHIPS to Top USA Colleges, English & Scottish Colleges for third level training in Drama, Singing and Musical Theatre. In 2003, Maureen founded Talented Kids Performing Arts School and Agency, which continues to grow from strength to strength. The school, which is based in Clondalkin and Kilcullen gives classes in Singing, Drama, Musical Theatre, Modelling and various styles of Dance to students from the age of 3 up to Adults. Maureen is a very well respected and successful Top Agent and has many students/clients of all ages at present starring in Feature Films, Short Films, TV Soaps and Series, TV, Radio and Online commercials, Animations, Photoshoots, Musical Theatre, Theatre, Variety Shows, Music Videos, Web Dramas, Corporate Shows, Pantomimes and more. Please see our Students Success archives for full breakdown. Maureen was Head of Vocal Studies and Drama at Joanna Banks “College of Dance” for 10 years and was National Director for Team Ireland five times between 2009-2015 at the WCOPA where she won the title of “National Director of the Year 2009” and “Outstanding National Director 2010”. She was also Head of Musical Theatre in the Royal Irish Academy of Music from 2005-2014 and is the writer and compiler of the current Musical Theatre Syllabus for the RIAM exams which students take nationwide.